I don’t know about you, but I used to struggle with ideas for stocking stuffers. Now it’s my favorite! 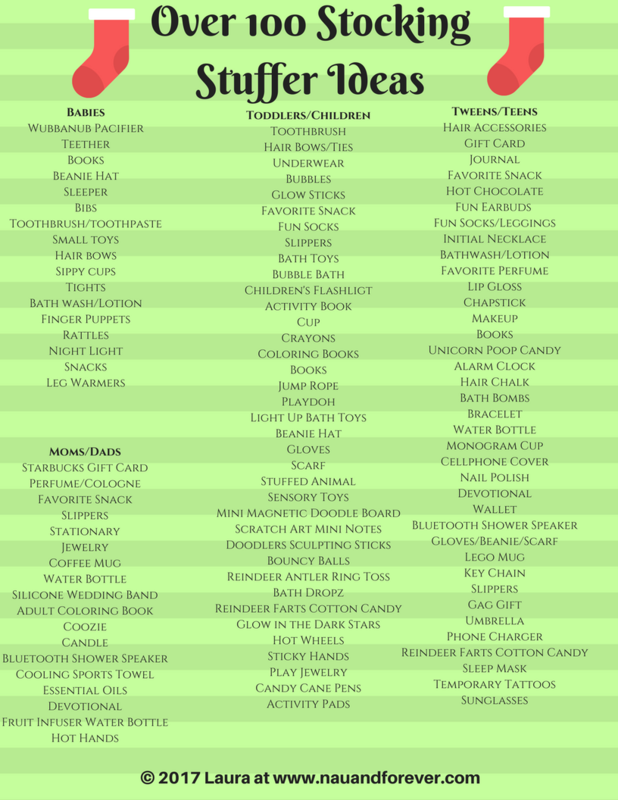 Here are over 100 ideas for stocking stuffers for the family! I love Christmas time! The cool weather. The snow. The Christmas tree. The stockings. Love it all! I have to say, though, that sometimes I get so stressed thinking of gifts for my littles. I know I can’t be the only one. 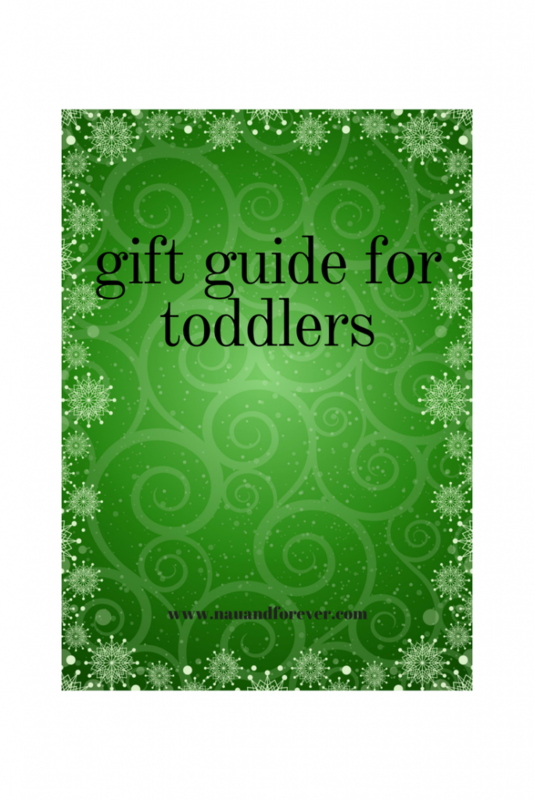 I have put together a list of some great gift ideas for toddlers. Enjoy! 1. Dress up clothes. My girls love to play dress up. Last year, they got a ton of tutus and they still use them. This year, the girls have asked for a magic hat and magic wand. I love their imaginations! How fun is this? And I love the Disney princess dress up clothes too! And what child doesn’t love to be a super hero?! 2. I love gifts that my kids will use for more than a couple months. This tent is so adorable! Perfect for reading time, living room “camp outs”, and so much more. 3. Books, books, and more books! We always get each child a book for Christmas. I have loved reading since I was a child and it’s so important for us to instill that same love of reading into our children. The Leapfrog Learn and Scribble is a favorite of my girls. It is great for teaching little ones their letters and numbers and how to trace. The twins have shown a lot of interest in clocks recently, so the learning clock is definitely on our wish list this year. 5. Arts and crafts. I’m going to be putting together an arts kit for the kiddos. Construction paper, finger paints, crayons, safety scissors, etc. This is a great thing to have on hand especially in the coming days and months when the little ones (and parents) will be getting cabin fever. 6. Our girls love to build things and we recently discovered the coolest things ever: Magnetic Building Tiles. You have to check these out! 7. Experiences! I love the idea of experiences and making memories. Family memberships to the zoo and/or local childrens museum. Is there a trip you want to take the family on in the coming year? Gymnastics or karate lessons that they would love? 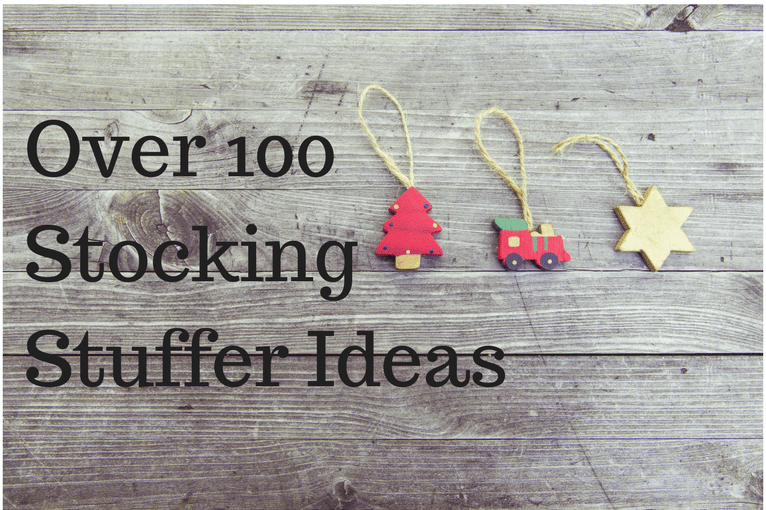 Check out Over 100 Stocking Stuffers for some other awesome gift ideas! What’s on your toddler’s wish list this year? I’d love to hear your ideas!